<!-Ernest Roth. 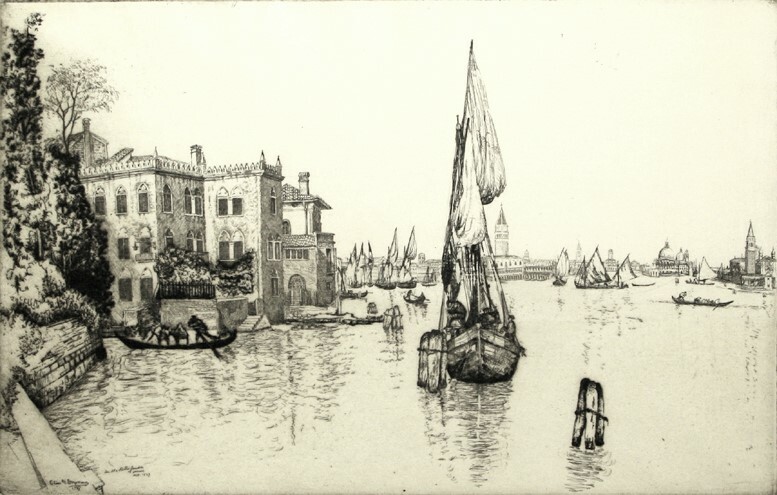 1879-1964--> Eilas Mandel Grossman, Old Palaces on the Lagoon, Venice. Etching. Old Palaces on the Lagoon, Venice. 1927. Etching and drypoint. 8 1/2 x 13 1/2 (sheet 11 1/2 x 16 1/2). A rich impression with drypoint burr printed on simili-Japan by the artist. Signed, dated, titled and annotated in pencil. $350. Born in Russia, Elias Mandel Grossman immigrated to Brooklyn, New York. He studied art at the Educational Alliance Art School, the Cooper Union and the Art Students' League. From the mid 1920's onward, Grossman was known for his etchings and figure studies in New York. 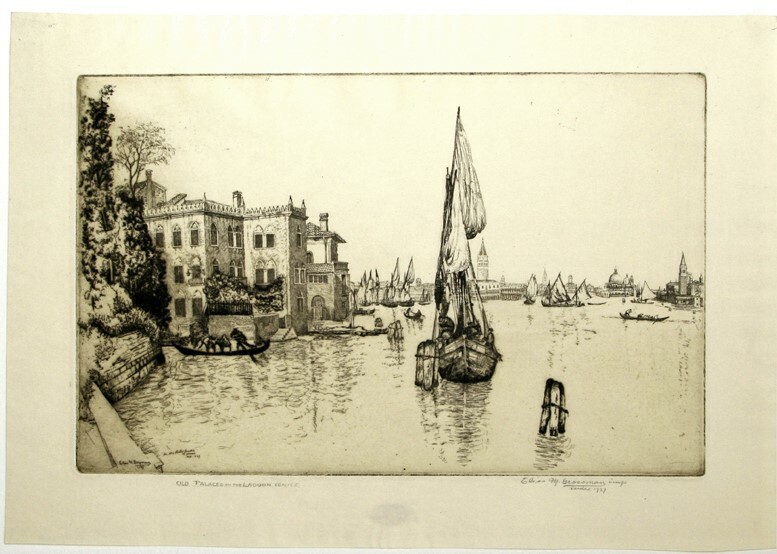 Elias Grossman traveled extensively During the 1930's and 1940's, he etched numerous scenes in Italy, Spain and the Holy Land.